These days, a large number of people have a large number of environmental concerns. It makes quite a bit of sense, after all. Slowly but surely, we’re hitting peak oil, a time when there’s simply no more oil to be found. Once that happens, there’s only going to be less and less oil available. In addition, there’s the problem of climate change, and the amount of oil and natural gas we burn off contributes to that on a daily basis. With all these different problems, it’s no wonder people are worried. But what is there to do? You have to drive, and you have to heat and cool your house, and there’s simply no other energy source available, right? That is not the case! While the oil industry doesn’t like to talk about it, there are actually a number of different alternative fuels that can be used for all those things! For example, one of the best alternative fuels to heat and cool your house is solar energy. 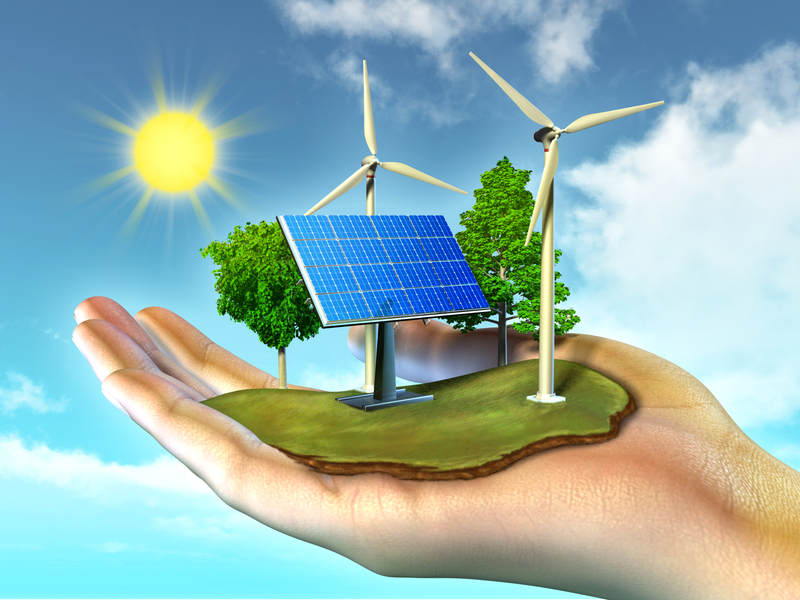 Many people question the usefulness of solar energy. After all, it can’t be sunny all the time, right? But modern solar batteries actually hold a great deal of energy. So much so that with the proper solar set up, you only need it to be sunny for a few hours a day, at most. Many countries are already making good use of solar power. In Germany, for example, it’s actually cheaper to use solar power than it is to use natural gas or oil! Solar power can be a great source of energy for the entire house, not just for heating and cooling. You can use it for electricity use, and many people find that it functions just as well as any other electricity source. If you can get all the comforts you’re used to without paying anything more, you might as well go green! But what about driving? You need gasoline for your car, right? That is not the case! Electric cars are becoming more and more viable as permanent cars. There was a time when electric cars couldn’t hold enough charge to make long drives. But with the new Tesla car out on the market, that’s no longer a concern. Not to mention, the Tesla company is setting up charging stations at gas stations, and doing so free of charge. This means that you won’t have to wait to get to your home in order to charge your electric car, but will be able to do so at a gas station, same as you do with your current car. The simple truth is that technology has finally started to evolve to the point where there’s no need to rely so heavily on natural gas and oil. There are so many alternative sources out there, and those sources are becoming just as cheap and easy as the current set up. All it takes is being willing to look into them, and a willingness to ignore the oil companies when they say that technology isn’t viable.